The story was first made into a play for a Hollywood reading that included Cross and Culp, who met at the theater long before they would cross paths again as an ill-fated couple on "Desperate Housewives." SAVE ME A PLACE AT FOREST LAWN is a small but perceptive slice of the lives of two old women, Clara and Gertrude, as they lunch at a cafeteria and face the uncertain interval of life still remaining. Tired, lonely, and weary of it all, they meet daily to discuss their grandchildren, to recall their early life, and to contemplate death, which lurks outside the cafeteria. Yet theirs is a resignation touched with wisdom and humor. When one of the ladies reveals that she had an affair with the other's husband many years before, her friend concedes very casually that she had known about it all along. At the time she had concluded that no great harm would come of it and, besides, it seemed better to protect the friendship which might, in later years, relieve their final, mutual loneliness. "Yankee and Bontempo cleverly interweave a slew of issues around death and dying with a cohesive dramatic arc between mother, son, and best friend, producing a tapestry in which forgiveness brings a final peace." —Variety. "Surprises appear from every corner of the stage, as the six characters are rattled, shaken loose, closed down, split wide-open, pieced back together with biting words, sliced humor, gentility, loyalty, and love. Guaranteed to spark discussion, as well it should; guaranteed to stretch some minds and imaginations, as well it should; the characters won't soon be forgotten, with their brisk humor, and honesty that walks hand in hand with misunderstood deception…A PLACE AT FOREST LAWN will have you smiling, and laughing while your brain is saying 'Whoa, let's run that by one more time.'" —Colorado Backstage. "A glorious comedy about the reunion of a career obsessed son with his mother at a rest home filled with delightful, cleverly realized characters." —Desert Post Weekly. [Luke Yankee] first play, A Place At Forest Lawn (co-written with James Bontempo), is the winner of the New Noises Festival Playwrighting Award and the Palm Springs International Playwrighting Competition. It received its first, Equity production at The Arvada Center for the Performing Arts, a 500-seat Equity theatre in Colorado. Luke has directed the play on both coasts, with casts that have included Frances Sternhagen, Marian Seldes, and Tony Goldwyn in New York and Betty White, Marion Ross, John Glover, Marcia Cross and Steven Culp in Los Angeles. The play is published by Dramatists Play Service. [Luke Yankee] has co-written (with James Bontempo) his first play, "A Place At Forest Lawn", based on the award-winning one-act play by Lorees Yerby. It received its first Equity production in October 2006 at TheArvada Center for the Arts, a 500-seat theatre outside of Denver. 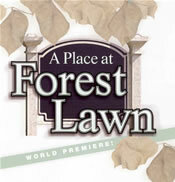 Winner of the New Noises Festival Playwrighting Award for 2003, "A Place at Forest Lawn" received a workshop production which Luke also directed. In addition, he directed staged readings of the play on both coasts. "At a Hollywood Rest Home, a cantankerous old lady struggles to make peace with her estranged son and protect her devoted best friend from a shameful truth she's kept hidden for decades – but discovers she's not the only one with a stunning secret." After his tenure at LBCLO (Long Beach Civic Light Opera) ended, Yankee began to flex his writing muscles. His first published play, A Place at Forest Lawn, was an extension of a one-act play entitled Save a Place for Me at Forest Lawn. It follows two elderly women as they begin to prepare for their deaths. A reading in LA featured Betty White, Marion Ross, John Glover, Marcia Cross, and Steven Culp. Friendship is the tie that binds in this bittersweet and candid look at remembered love, forgotten promises, living with choices and dying with dignity. A PLACE AT FOREST LAWN follows the journey of discovery, peace and ultimate reconciliation taken by Clara, a cantankerous old lady, and her devoted best friend, Gertrude. As Clara comes to terms with the choices she has made in her life, she must confront Jack, her estranged son. She and Gertrude also encounter an impressionable young priest, their stoned-out, fun-loving driver and an aged movie actor who still has an eye for the ladies as well as his own version of the truth. After receiving a bill for an expensive mausoleum, Jack comes back to town expecting his mother to be dead, only to find her very much alive. He stays for a few days to work out her affairs, but their close physical proximity fuels age-old tensions and causes deeply buried secrets to come to light with painful results. Gertrude searches for a meaningful existence at this stage of her life and becomes part of a volunteer program at the hospital, but that too has its consequences. Each character comes to realize their own personal truth while attaining an understanding of those they love…but not without a price. A PLACE AT FOREST LAWN surprises with humor, comforts with insight and charms with intriguing characters. On a simple set where subtle lighting, smart dialogue and dynamic acting deliver emotional revelations, this vibrant play peels back layers to reveal the essential truths of life. For every child and parent, A PLACE AT FOREST LAWN encourages us to simply be there for each other, no matter what age.